Dec 8th, the U.S. Department of Labor’s Bureau of Labor Statistics (BLS) announced that 228,000 jobs were added to the American economy in November, and 1.7 million jobs have been added since January of this year. This marks a 17-year low for unemployment at 4.1%. In addition, the unemployment rate in manufacturing dropped to 2.6% – the lowest rate recorded since BLS began measuring it in 2000. Last week, the Department of Commerce’s Bureau of Economic Analysis (BEA) announced in their latest estimate that the U.S. gross domestic product grew at a 3.3 percent pace in their third quarter of 2017 – faster than their initial estimate of 3.0 percent – and personal income increased by 0.4 percent in October 2017, marking the second month in a row that personal income increased by 0.4 percent. WASHINGTON – U.S. Secretary of Commerce Wilbur Ross today announced that the Department’s Economic Development Administration (EDA) is awarding a $1 million grant to the city of Keokuk, Iowa, to renovate an office building that will house startup companies. According to grantee estimates, the project is expected to create or retain 75 jobs and spur $3 million in private investment. The project will help to renovate the former Roquette office building to support the expansion of emerging startup companies in southeast Iowa. It serves as an opportunity for area grain processing businesses as well as entrepreneurs to be close to clustered industries and expand in the region. This project was made possible by the regional planning efforts led by the Southeast Iowa Regional Planning Commission. EDA funds Southeast Iowa Regional Planning Commission to bring together the public and private sectors to create an economic development roadmap to strengthen the regional economy, support private capital investment, and create jobs. “We thank Vice Premier Wang and the Chinese delegation for making the journey to Washington for this first session of the U.S.-China Comprehensive Economic Dialogue. “We also extend our gratitude to Secretary Perdue, Ambassador Lighthizer, Ambassador Branstad, Chair Yellen and Director Cohn for their participation in these meetings. “China acknowledged our shared objective to reduce the trade deficit which both sides will work cooperatively to achieve. “Since the Presidential Summit, the first 100 days made progress on important issues including credit ratings, bond clearing, electronic payments, commercial banking, and liquefied natural gas. Also, this is the first time since 2003 that the Chinese have allowed for imports of American beef. To support locally-driven efforts in coal country to spur job growth, U.S. Secretary of Commerce Wilbur Ross today announced that the Department’s Economic Development Administration (EDA) has published a Notice of Funding Availability (NOFA) making $30 million in funds available to assist coal communities through the 2017 Assistance to Coal Communities (ACC 2017) initiative. Since taking office, President Trump and his Administration have reversed regulations that have drastically squeezed the American energy sector, eliminated constricting energy restrictions that would have shackled the United States’ economy under the Paris climate change accord, blocked the EPA’s and other agencies needless war on coal, and, in conjunction with Congress, acted swiftly to roll back many of the burdensome regulations and laws which have strangled many American communities. These critical policy shifts have resulted in a better deal for coal country and tangible results for American workers who have gone ignored for far too long. Promote market access for goods and services created and manufactured by businesses in the impacted community/region. Related Transportation, and/or Logistics, and/or Supply Chain Manufacturing Industries. Prospective applicants are encouraged to refer to the NOFA on grants.gov for more details on the ACC 2017 funding, including eligibility, matching-fund requirements, and other information. For additional information about ACC 2017, please visit the EDA’s ACC 2017 webpage at: www.eda.gov/coal. U.S. Secretary of Commerce Wilbur Ross issued the following statement today on the release of the real gross domestic product (GDP) quarterly growth by the Department of Commerce. In the first quarter of 2017, the GDP increased 0.7 percent, according to the advance estimate released. Since the first quarter of 2016 the year-over-year increase in real GDP was 1.9 percent. The increase in real GDP reflected increases in business investment, exports, housing investment, and consumer spending. The increase in business investment reflected growths in both structures and equipment, notably a significant surge in mining exploration, shafts, and wells. The increase in exports reflected an increase in nondurable industrial supplies and materials. During the first quarter of 2017, overall mining exploration shafts and wells accounted for 0.54 of the .7 increase in GDP. This was driven by a 449 percent increase in private fixed investment since the fourth quarter of 2016. The percent change from quarter to quarter within this sector is the greatest ever recorded, the next closest occurred in the fourth quarter of 1981, when the percent change was 192 percent. The growth rate for total footage drilled from the fourth quarter of 2016 to the first of 2017 was 533 percent. Administration action, including approval of the Keystone and Dakota Access pipelines. Just today, President Trump signed an executive order which will allow the review of the Continental Shelf for offshore oil and gas exploration as well as review the regulations and permitting process for development and seismic research. Currently 94% of these off-shore areas are closed for exploration and production which deprives our country of potentially thousands of jobs and billions in wealth. Other Administrative accomplishments have begun to loosen the burdensome regulations which have handicapped American businesses. It is estimated that President Trump’s pro-growth actions, including signing into law 13 Congressional Review Acts removing harmful Obama-era regulations, could generate more than $18 billion in annual regulatory savings for businesses, investors, and consumers. American corporations and workers have reaped the rewards of these policies; since President Trump was inaugurated several companies announced additional domestic investments including Charter Communications’ $25 billion investment which would lead to jobs for 20,000 American workers in the next four years, and Exxon Mobil Corporation $20 billion’s investment that would create more than 45,000 jobs. The increase in consumer spending reflected an escalation in spending on services that was offset by a decrease in motor vehicle purchases. Private inventory investment, federal government spending, and state and local government spending subtracted from growth. Prices of goods and services purchased by U.S. residents increased 2.6 percent in the first quarter of 2017. Excluding food and energy, prices increased 2.3 percent in the first quarter of 2017. WASHINGTON – Former Texas Governor Rick Perry was sworn in on March 2, 2017, as the 14th Secretary of the United States Department of Energy. “It is an honor and privilege to serve as the Secretary of the Department of Energy. As Secretary, I will advocate and promote American energy in all forms. America has been blessed with vast natural resources and the technology to utilize them. I am committed to helping provide stable, reliable, affordable, and secure sources of American energy. An American first energy strategy is important to create jobs and grow the economy. “I am also committed to maintaining a safe, secure and effective nuclear deterrent while reducing the threat of nuclear proliferation. We will also continue the important mission of carrying out the environmental clean-up from the Cold War nuclear mission,” said Secretary Perry. During Perry’s 14 years as Governor, he proved economic growth and increased energy production can be accomplished alongside caring for the environment. During his tenure, Texas created 2.2 million jobs. Texas led the nation in energy production — not just in oil and gas, but also in wind energy. Texas now produces more wind energy than all but six countries in the world. Under his leadership, Texas reduced its carbon footprint by 17%, reduced sulfur dioxide by 56%, and nitrogen oxide by 66%. Despite having a rapidly growing population and one of the largest petrochemical refining industries in the world, Texas saw its air quality improve. 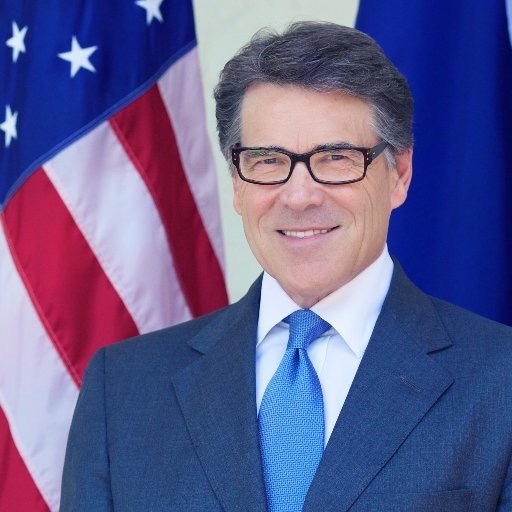 Perry brings the executive experience and management skills honed during his time as governor to the leadership of the Department of Energy. Perry is a veteran of the United States Air Force. He married his childhood sweetheart, Anita, in 1982. They have two children and two granddaughters. Follow Secretary Perry on Twitter.